Yamaha Unified Communications will showcase its broad offering of unified communication solutions at SpiceWorld 2018, Oct. 8-10 at the Austin Convention Center in Austin, Texas. 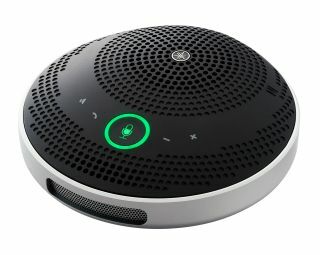 The unified communications (UC) company will feature its new YVC-200 speakerphone for portable, on-the-go conferencing, the Yamaha YAI-1 Conference Ensemble for large conference rooms and boardrooms, and the CS-700 Video Sound Bar for huddle rooms. "The scope of meeting environments has changed significantly. Now IT professionals are burdened with finding a UC portfolio with solutions that will accommodate huddle rooms and traveling executives as well as high-end boardrooms without sacrificing audio, IT capabilities, installation efficiencies, or ease of use," said Timothy Mackie, field systems engineer at Yamaha UC. "At SpiceWorld, we'll help IT professionals understand their meeting space requirements and demonstrate the right equipment for the job so they can be the unsung heroes of their companies." Making its IT debut, the YVC-200 portable USB + Bluetooth speakerphone is designed to provide users with ample, clear sound no matter where they work. The lightweight device is available in white or black, fits in the palm of the user's hand, and is integrated with Yamaha's leading sound processing technologies, including adaptive echo cancellation and Human Voice Activity Detection that focuses the unit on speech, rather than background noise. The unit's intelligent microphones deliver full-duplex conversation without sound dropouts, even when multiple people are speaking at once, and its powerful speaker delivers audio that sounds as natural as in-person conversation. It's fully compatible with remote conferencing systems such as Microsoft Skype for Business, Cisco WebEx, Zoom, and more. To start a remote meeting, users simply connect the YVC-200 to their audio, video, or web conferencing client. Equipped with USB, Bluetooth, and fast pairing to NFC-enabled devices, the YVC-200 can connect to a PC, smartphone, or tablet. Also being displayed at the show, the Yamaha CS-700 Video Sound Collaboration System for huddle rooms optimizes audio, video, and collaboration capabilities to ensure the highest-quality user experience in a wall-mounted unit. The all-in-one, space-saving system is easy to install and deploy. It features an adaptive beamforming microphone array for perfectly captured conversation; four Yamaha speaker elements to provide the highest degree of audio intelligibility; and a wide-angle HD camera for the far-end participants to see everyone in clear detail. Users can quickly connect to an organization's chosen UC platform — such as Microsoft Skype for Business, GoToConference, Zoom, and many others — using a single USB connection, eliminating the frustrations and inefficiencies of operating disparate video, audio, and collaboration components. In addition, the CS-700's integrated network management system allows IT staff to deploy and remotely manage each unit from one location, increasing service response and efficiency.